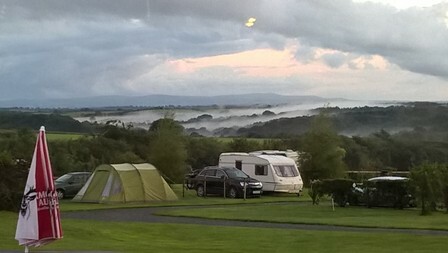 We have a level area for caravans, camper vans and tents which has spectacular views towards Dartmoor in the distance. We have limited space for large units so if your unit is more than 7m long including "A" frame please make it clear at the time of booking. 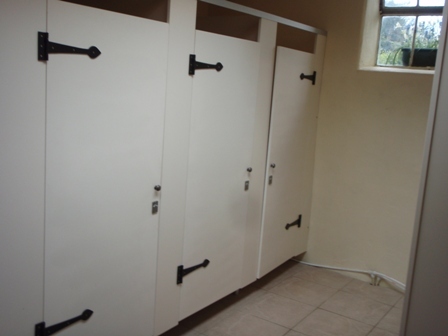 Toilets, showers, washing up facilities and fridge freezer and shop are available. We also stock Calor and Camping Gaz. Well behaved dogs are welcome. 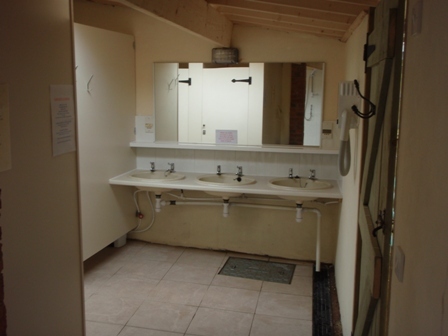 You are asked to poop scoop and keep your dog under control at all times and on a lead in the camping area. 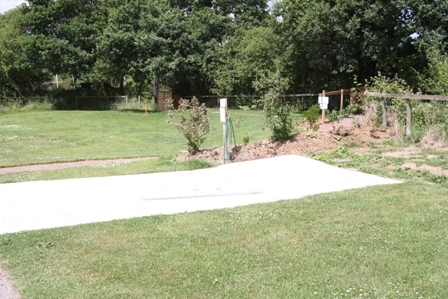 Dogs are not allowed in the pool area hot tub area, sauna court yard or cow shed. 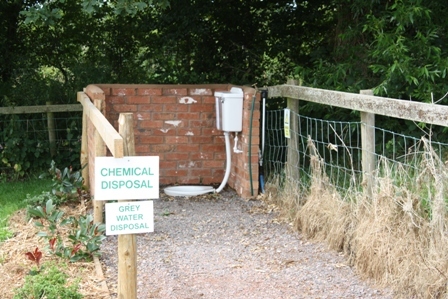 Chemical disposal - please note we have invested a lot of money in installing a new sewage treatment plant which cannot accept some toilet chemicals please check your chemicals are "green" or septic tank friendly so they don't cause our system to fail. We have a stock of suitable chemicals in our shop. You are welcome to use the hot tub which seats six people comfortably. Take a dip in the 33ft solar heated swimming pool. Relax in the wood burning sauna, late afternoon daily until 11pm. 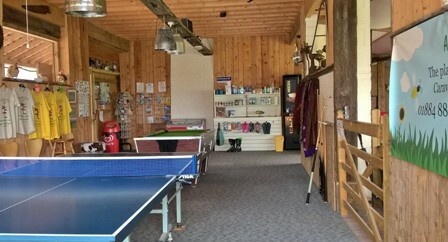 Our guest lounge known as the "Cow Shed" has comfy chairs with views over the swimming pool area and the rolling Devon counrtyside towards Dartmoor. The pot belly wood burning stove keeps it cosy. Books and games can be borrowed during your stay plus there is free wireless internet ( bring your own lap top ). Our Honesty Shop stocks a few non perishable basic provisions plus snacks, soft drinks and ice creams. Also "green" toilet chemical. We also have free range hens eggs for sale. 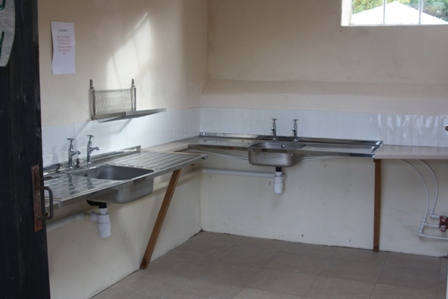 The nearest villages are 3 miles away and have post office / stores and public house, serving evening meals. 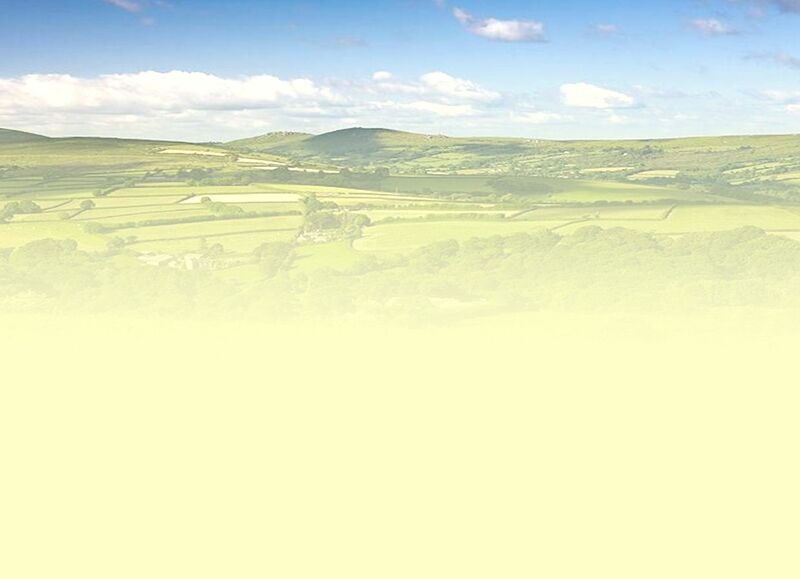 The nearest supermarkets are in Tiverton, 11 miles away -Tesco 24hour and Morrison or South Molton 11 miles away - Sainsbury's. Meals are served in The Cow Shed each evening. See Menu, please order before 4pm. We also have a licensed bar. On day of departure we ask you to vacate your pitch by 11.30am. If you want to stay longer there is a £5 per adult charge for the rest of the day. If you stay on your pitch it will be £5 to stay pitched up. At Acorns, the price you see is what you pay. 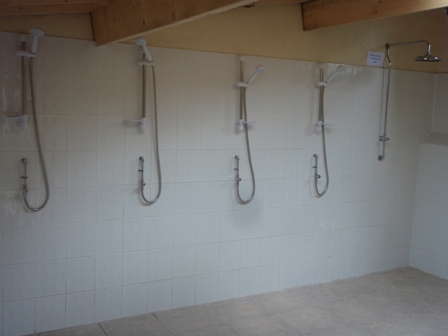 Everything is included, guests at Acorns have free use of sauna, hot tub, games barn, heated swimming pool ( in season). 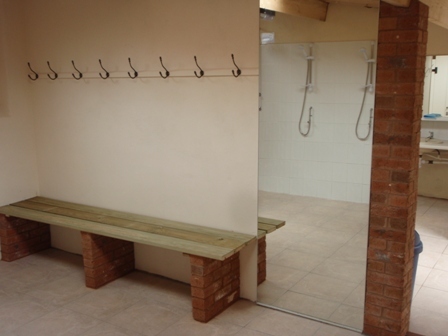 Showers, table tennis, pool table wifi are also free. 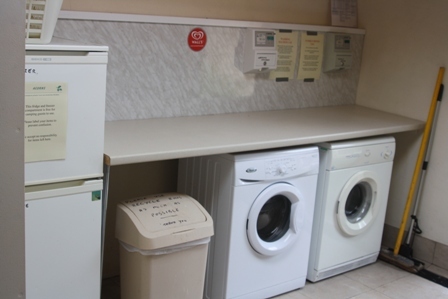 The only thing we charge for on top of these prices is use of washing machine and tumble dryer which are coin operated.